If you work for the government, a collection agency, insurance company, or even a law firm, you probably are extremely well-acquainted with certified mail. You may, in fact, even depend on it for your job to be successful. From ensuring that important documents are delivered on-time to collecting signatures for your records, certified mail is often a critical requirement in meeting legal and regulatory requirements. And, like most things that are critical and related to legal concerns like certified mail, you probably know that there are high direct and indirect costs as well. However, you may not know there is a way to make certified mail easier WHILE lowering the costs associated with it – and it all starts with moving from a manual to electronic process. #1: Reduces admin costs and manual labor. Going to an electronic platform for your certified mail means there’s less work that needs to be done in-house. This reduces your admin costs and frees up time for other tasks to be performed. Certified mail pieces traditionally require green cards to be filled out by hand, which is a time-consuming and manual process that can easily be eliminated by working on a purely electronic platform. You would be surprised at how much time and money (an average of 75 cents per piece) this saves! #2: Eases legal headaches and compliance concerns. Good record-keeping is key for any business sending out large quantities of certified mail, and the room for error grows when it is done manually. When you switch from a manual to digital process for your certified mail, all information is entered and stored electronically for up to ten years, including signatures. These online portals can even be integrated into an existing ERP/policy management system at NO extra charge. #3: Easier to track and produce. The process for sending out certified mail is simple: enter your customer information into the online portal and track it all from one central source – from when the mail was printed to the times they were scanned by the USPS, all the way to when signatures were obtained. You will receive envelopes and access to your cover pages by recipient (which can be printed out at your office), and your mail will be picked up for you. #4: It is different in appearance. If you’ve seen normal certified mail, you’ll know that the green label on them makes it very easy for someone to pick out. This is not included on mail pieces that are done electronically, which means that your payment-avoiding customers are more likely to be caught off-guard. Green cards used for certified mail also aren’t the best at adapting to temperature changes – their adhesive can sometimes be ineffective. If that happens, you’re looking at a lengthy 2-3 week return process before you can send that piece out again. Let’s face it – if we could avoid doing something that was taking up an excessive amount of time and potentially costing us more money, we would most likely jump at the chance of getting rid of it. 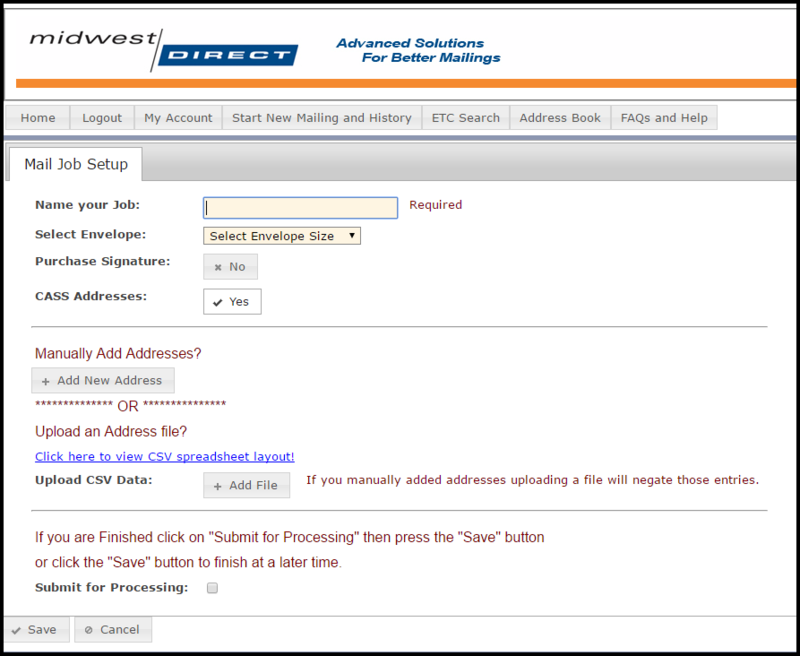 At Midwest Direct, our Certified Mail+ services allow you to do just that. We’ve even had a few customers save up to an additional $2-3 per mail piece, which has allowed them to put that money back into improving their businesses in other ways. Don’t let an internal bleed such as this go unresolved! Contact our certified mail expert, Will Ulrich, to learn more.